At Guelph Volkswagen, we know that recent grads are our future. 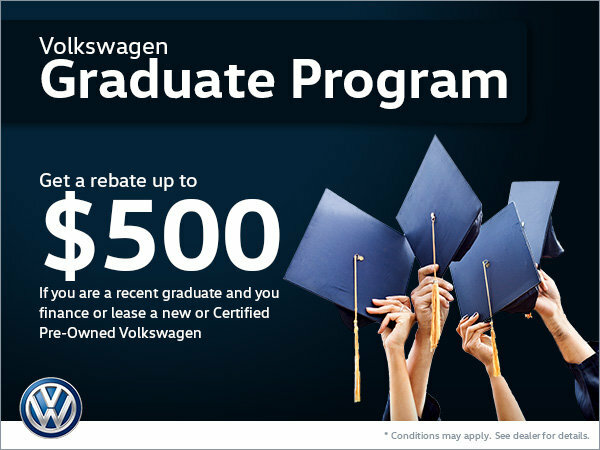 If you're a recent graduate and you finance or lease a new Certified Pre-Owned Volkswagen vehicle at our dealership, you'll get a rebate up to a maximum of $500. It's just our way of saying congratulations for a job well done!